In the preview post, commenters called out the following turn-offs in different versions. I’ll try to summarize the critiques using language that’s common to this blog without putting too many words in my commenters mouths. These textbook treatments rush to a formal level of abstraction too quickly. 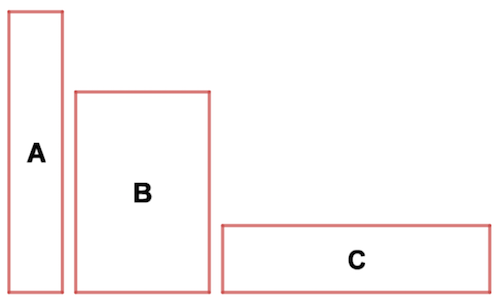 They don’t do a sufficient job developing the question for which “angle of incidence = angle of reflection” is the answer, or helping students develop an intuition about that answer. In Discovering Geometry, for example, the formal equivalence statement is given and then the text asks students to apply it with their protractor. A number of my commenters offer variations on, “Just take ’em to the pool hall!” This idea sounds great and will scan to many as suitably progressive, inquiry-based, student-centered, etc. But I’m unsatisfied. Mr. Bishop took us to the pool hall when I was a high school student and let us watch a local pro knock down a rack. I think he let us shoot a bit ourselves. I remember enjoying myself. I don’t remember learning more math than I did in his classroom lesson. Pro pool players don’t use protractors. For one reason, they’ve internalized that mathematics through practice. 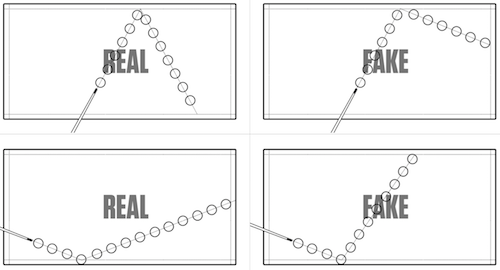 For another, the player can’t measure the angle of the ball in real time. 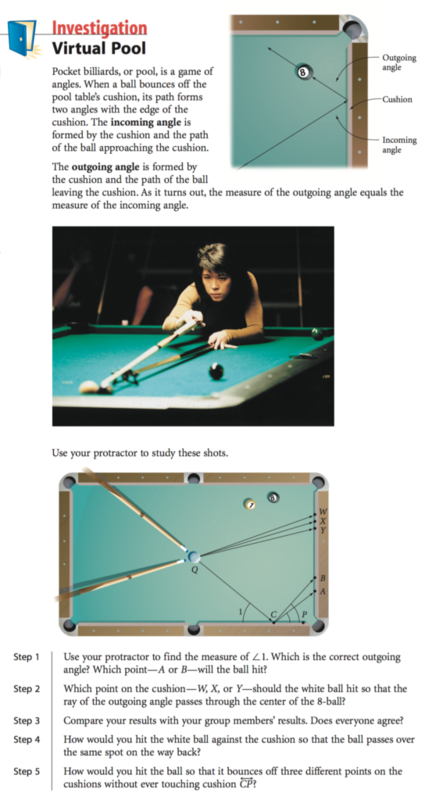 The ball moves too quickly and the pool player’s eye-level view of the pool table is unlike the bird’s-eye view that would allow her to measure that angle. Here is the resource I need. I’d like students to experience mathematical analysis as power, rather than punishment. So let’s start with a tool that comes easily to students: their intuition. Let’s invite them to use their intuition in the context of a pool table. And let’s establish the context so that their intuition fails them, or at most earns a C-. 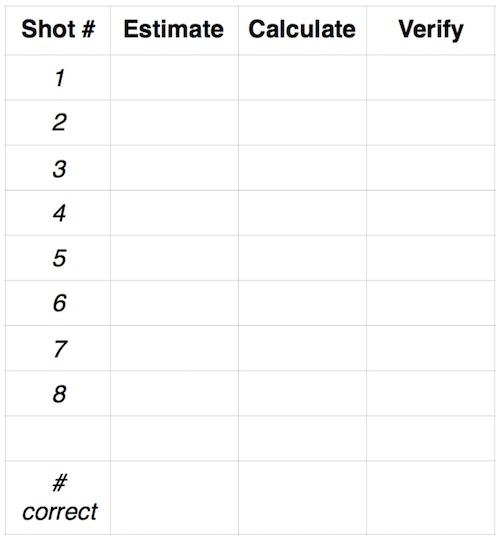 John Golden gets us close to that resource, inviting teachers to pull out still frames from this video of billiard shots for student analysis. But that analysis is much more complex than the level of the textbooks we’re critiquing today. Billiards ricochet off of other billiards in that video. The resource I need doesn’t seem to exist yet, so I’ll try to build it. I’ll start with this game. Stay tuned. Larry Cuban has spent the last year observing and documenting the practices of schools that are known for successful technology implementation. Here are eight different yet interacting moving parts that I believe has to go into any reform aimed at creating a high-achieving school using technology to prepare children and youth to enter a career or complete college (or both). Notably, none of them are explicitly about technology. “WHAT IS A SQUARE!” I yell out while my competitors are still thinking quietly. I have disqualified myself and ruined the round, but I don’t care. I start high-kicking around the set while security tries to wrangle me away and I still don’t care because I finally found some use for this fact that takes up a significant chunk of my brain’s random access memory. So: who wore it best? Click each image for the full version. So a note on sampling: the GeoGebra example is the most viewed lesson on the subject I could find at their Materials site. The Texas Instruments lesson is the only lesson on the subject I could find at their Activities site. I told Steve, and I’ll tell you, that if anybody can come up with a better lesson on either platform. I’ll be happy to feature it. This isn’t much fun for me (or useful to Desmos) if I stack the deck. 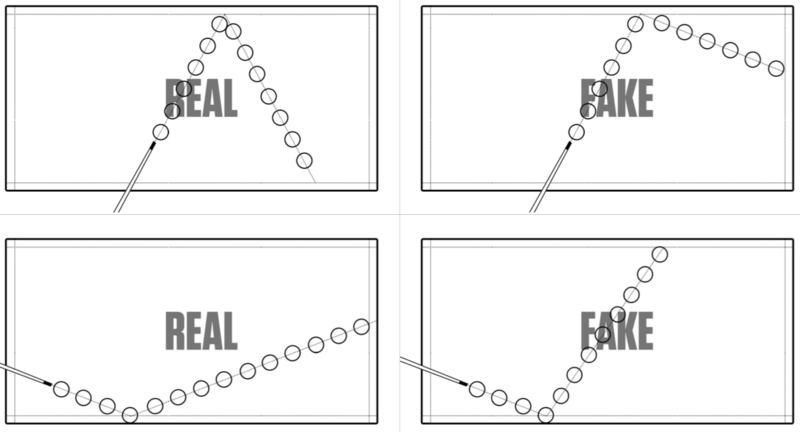 Both Lisa Bejarano and John Golden call out the Desmos lesson as “too helpful” – they know how to make it sting – in the transition from screen 5 (“Collecting data!”) to screen 6 (“Here! We’ll represent the data as a graph for you.”). I’l grant that it seems abrupt. I don’t think this kind of help is necessarily counterproductive, but it doesn’t seem as though we’ve developed the question well enough that the answer – “graph the data!” – is sensible. The Texas Instruments version has a solution to that problem I’ll attend to in a moment. 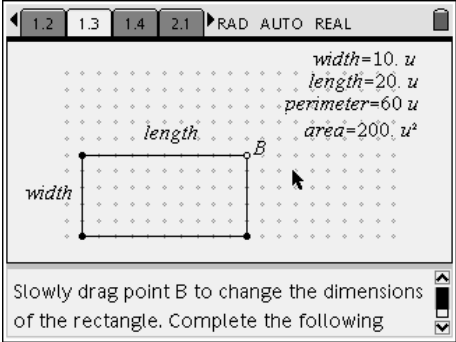 My concern with the GeoGebra applet is that the person who made the applet has done the most interesting mathematical thinking. 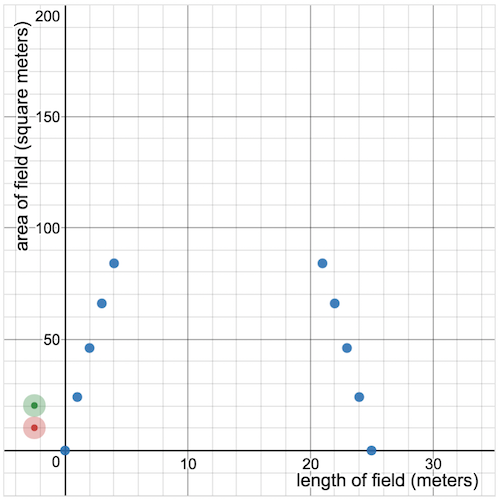 I love creating Geogebra applets. I generally don’t have a good story for what students do with those applets, though. 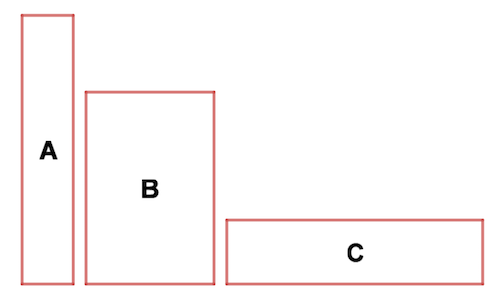 In this example, I suspect the student will drag the slider backwards and forwards, watching for when the numbers go from small to big and then small again, and then notice that the rectangle at that point is a square. The person who made the applet did much more interesting work. Let me close with one item I prefer about the Desmos treatment and one item I prefer about the Texas Instruments treatment. 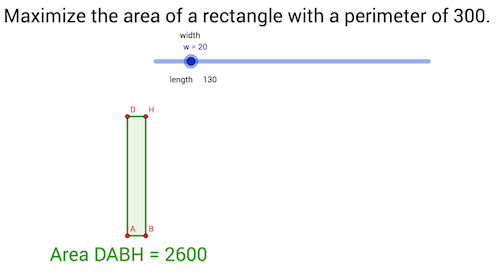 Still later, I ask students to estimate a rectangle they think will have the greatest area. That kind of informal cognitive work is largely absent from the TI version, which starts much more formally by comparison. TI does have a technological advantage when they allow students to sample lots of rectangles and quickly capture data about those rectangles in a table. 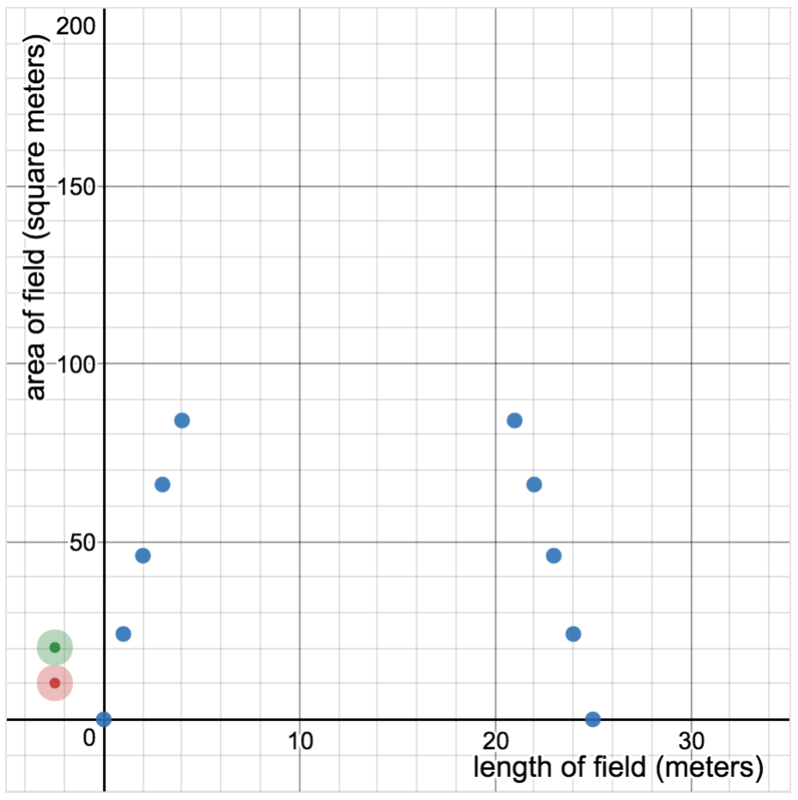 Desmos is working on its own solution there, but for now, we punt and include prefabricated data, which I think both companies would agree is less interesting, less useful, and more abrupt, as I mentioned above. That’s my analysis of these three computer-based approaches to the same problem. What’s your analysis? And it’s also worth asking, “Would a non-computer-based approach be even better?” Is the technology just getting in the way of student learning? You can also pitch your thoughts in on next week’s installment: Pool Table Math. 2016 Jul 8. 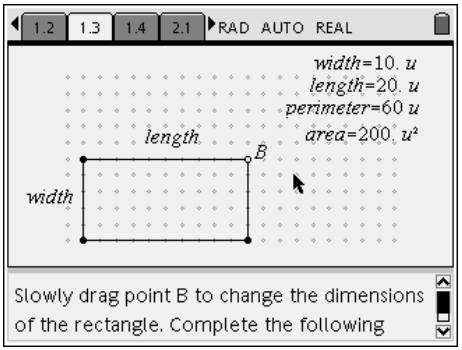 Steve Phelps has created a different GeoGebra applet, as has Scott Farrar. 2016 Jul 9. Harry O’Malley uploads another GeoGebra interpretation, one that strikes a very interesting balance between print and digital media.